Convoy No. 3009B consisting of HOKUYO and SHINYO MARUs and EIKO MARU No. 2, and possibly others, departs Yokosuka. HOKUYO MARU arrives at Rabaul, New Britain. At 1330, convoy 3101 departs Yokosuka for Truk consisting of HIDAKA (5486 grt) towing HA-53, HAGURO, KONEI, MUKO SHIBAZONO, TAIKOKU MARUs and NANKAI MARU No. 2 escorted by destroyers ASANAGI and INAZUMA and auxiliary gunboat CHOAN MARU. The same day, arrives at Tateyama. Convoy 3101 departs Tateyama via Truk for Rabaul. The future CO of the Rabaul midget submarine detachment, Lt Kado Yoshimi (former CO of midget HA-22), with two midget submarine pilots and four technical personnel depart on an unidentified ship and arrive safely later in November. Arrives at Chichi-Jima, Bonins. Destroyer ASANAGI is relieved by destroyer IKAZUICHI. At 1000, auxiliary minesweeper Wa-6 joins the convoy at 10-46N 150-47E. 200 km NE of Truk, Carolines. At about 2200, MUKO MARU is torpedoed by LtCdr Harry Hull's (UNNA '32) USS THRESHER (SS-200). At 2218, she sinks at 09-02N, 152-46E. Thereafter, the convoy is split into two echelons. At 1205, the first echelon consisting of HIDAKA, TAIKOKU MARUs and NANKAI MARU No. 2 escorted by destroyer IKAZUCHI, arrives Truk. At 0800, the second echelon consisting of HAGURO, KONEI and SHIBAZONO escorted by destroyer INAZUMA and auxiliary gunboat CHOAN MARU arrives Truk. Convoy SO-(unknown) departs Palau consisting of TASMANIA, HOZUGAWA, KENZAN and RYUKO MARUs escorted by submarine chasers CH-37 and CH-38. RYUKO MARU is towing a midget supply submarine. 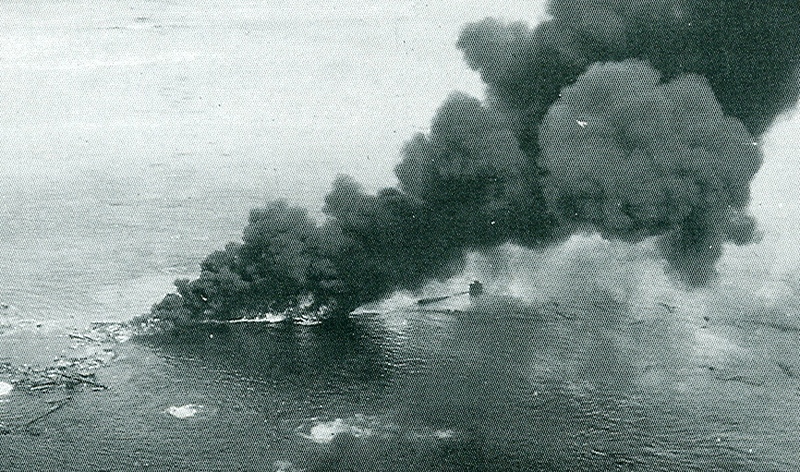 During the voyage south the convoy is plagued by submarine attacks. At 1025, KENZAN MARU is torpedoed and sunk by LtCdr Oscar Hagberg's (USNA ’31) USS ALBACORE (SS-218) at 00-51N, 146-00E. Seven crewmen are KIA. At 1338, YAMAZURU MARU, her midget supply submarine and convoy No.708 arrive at Palau. RYUKO MARU, her midget supply submarine and convoy SO-(unknown) arrive at Rabaul. At 0810, SHINSEI MARU No. 18 that suffered navigational troubles a few days earlier leaves the convoy with W-22 and CHa-48 and heads for Kavieng, New Ireland. At 1210, the same day, the rest of the convoy is attacked by American aircraft, but incurs no damage. At 1336, the remainder of convoy No. 1103, including the midget submarine and the tokugata unkato midget supply submarine, arrive at Rabaul. Transport NEIKAI MARU departs Kure towing midget submarine Lt (j.g.) Mashima Shiro's HA-49, the first of the Rabaul Detachment's midget submarines. Convoy O-105 departs Saeki for Rabaul via Palau consisting of YAMATSURU, TARUSHIMA, ERIE, DENMARK and NARITA MARUs escorted by minesweeper W-18 and auxiliary minesweeper TAMA MARU. YAMAZURU and TARUSHIMA MARUs is towing Lt (j.g.) Sato Masayoshi 's (70) midget submarine HA-51. In addition, YAMAZURU MARU is towing midget submarine HA-50 and carries the submarines' crews and technical personnel. About 1230, ERIE MARU is torpedoed in hold No. 2 by LtCdr Charleton L. Murphy’s (USNA ’32) old USS STURGEON (SS-187) at 32-31N, 132-34E. At 1417, ERIE MARU lists over and sinks. 200 of about 2500 soldiers of two Infantry Battalions, a tank unit and a AA unit are KIA.The escorts counter-attack and drop 51 depth-charges. STURGEON incurs slight damage, but escapes. The convoy returns to port. Saeki. At 0200, the convoy again sets out for Palau. 155 miles SE of Tanega-Jima. At 2025, YAMAZURU MARU is attacked by LtCdr (later Cdr) Royce L. Gross’ (USNA ’30) USS SEAWOLF (SS-197) at 28-25N, 133-30E. The oiler, that has just discontinued zigzagging, is hit by a torpedo in her No. 2 hold. There is a heavy explosion followed by great fires. 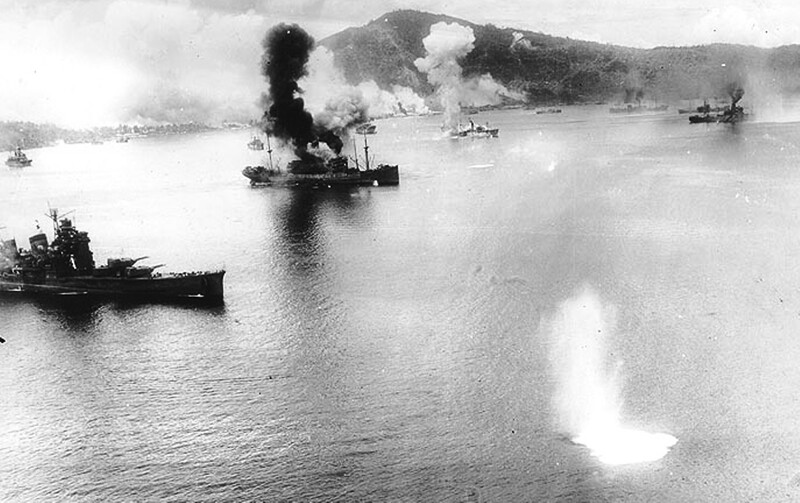 YAMAZURU MARU’s cargo of aviation fuel catches fire and begins to cascade into the sea. Another torpedo strikes her between the engine room and No. 3 hold. YAMAZURU MARU lists to port and sinks within a few minutes taking down the midget submarine. 30 crewmen, two gunners and four passengers are KIA. TAMA MARU is detached at 28N; distant cover is provided by minelater NUWAJIMA. At 1430, convoy No. O-707 and NEIKAI MARU arrive safely at Palau. Philippine Sea. At 1806, that same day, LtCdr (later Cdr) Albert C. ("Acey') Burrow's (USNA ’28) USS WHALE (SS-239) torpedoes and sinks DENMARK MARU. 1,633 soldiers of the 14th Infantry Division, 31 crewmen, and 20 gunners are KIA. At 2250, LtCdr Gross’ SEAWOLF damages TARUSHIMA MARU by gunfire at 23-00N, 135-00E. LtCdr Burrow's WHALE torpedoes and finishes off damaged TARUSHIMA MARU at 22-50N, 135-40E. She sinks with her midget in tow. 613 troops and 20 crewmen are KIA. NEIKAI MARU departs Palau for Rabaul in convoy SO-903 with NIPPONKAI MARU and TAKATORI MARU No. 2 escorted by subchasers CH-17 and CH-18. At 1800, convoy O-510 departs Saeki for Palau consisting of HASSHU, HINODE, KIBI, KIZUGAWA, MACASSAR, MITO, YAKUMO, SANKO, TASMANIA and YAKUMO MARUS and SHINTO MARU No. 1 escorted by destroyer HARUKAZE, minesweeper W-17 and auxiliary minesweeper TAMA MARU No.7, the latter as far as 28N. KIZUGAWA MARU is towing HA-52. Convoy SO-903 is scheduled to arrive at Rabaul, but is delayed. 110 km WNW of Cape Lambert, New Britain. 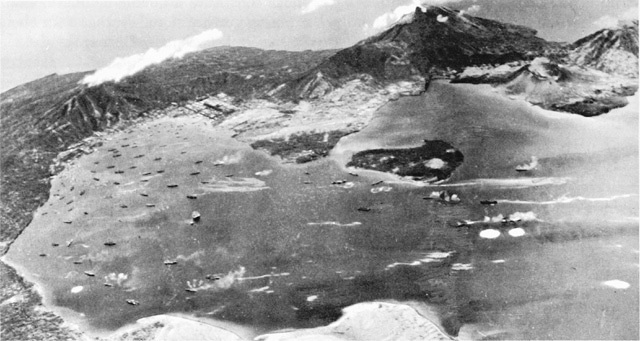 13th Air Force B-24 “Liberator” heavy bombers and USN PBY “Catalina” patrol planes bomb NEIKAI MARU. She sinks 75 miles S of Queen Charlotte Island, Bismarcks at 03-45S, 150-38E and takes down midget submarine HA-49. Lt (j.g.) Mashima Shiro is rescued and landed at Rabaul. 6 February 1944: Convoy O-510 arrives safely at Palau. At Palau, towage of HA-52 is taken over by auxiliary collier- tanker SANKO MARU (5,461 grt) from KIZUGAWA MARU. Convoy SO-903 departs Palau for Rabaul consisting of SANKO MARU towing HA-52 and TATSUKIKU MARUs and SHINTO MARU No. 1 escorted by subchasers CH-22 and CH-39 and auxiliary subchaser Cha-16. Near Mussau Island, SANKO MARU and CH-39 are detached for Kavieng, New Hanover/ New Ireland. HA-53, the last Type A midget submarine, was completed as the Type B prototype. Later, HA-49 through HA-52 were rebuilt as B Types. All five were sent to Rabaul, towed by merchants, but HA-49 and others were lost in transit. 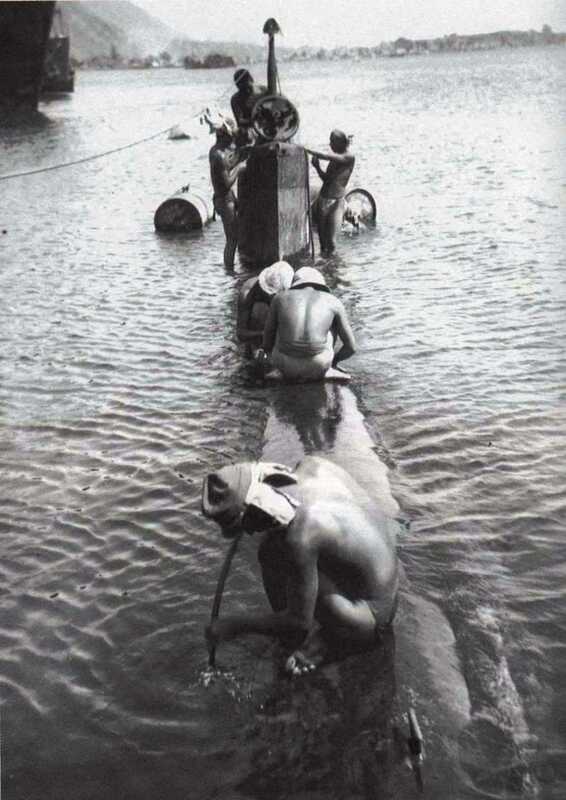 The 46-ton midgets were towed because they were too heavy to be handled by the ships' derricks. 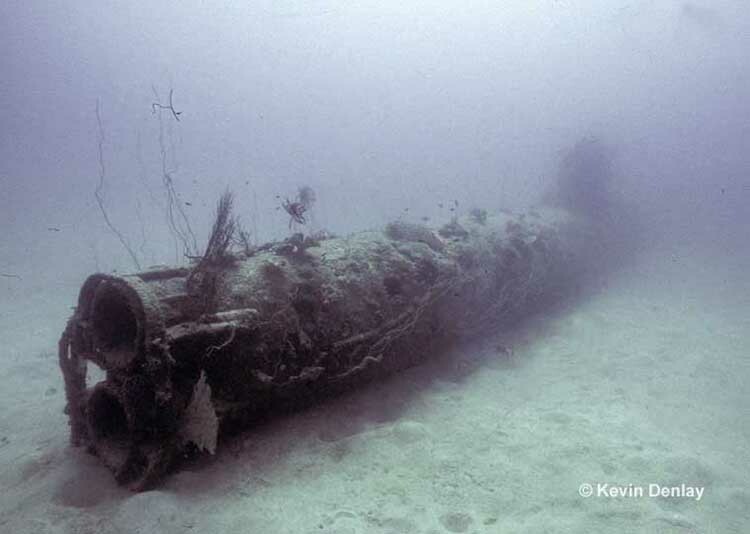 HA-53 was the first and only midget sub to arrive safely at Rabaul. The code name "Ko-Hyoteki' means A-Target. Until late in the war, many Japanese thought the midgets were just that, target ships. There was only one midget sub involved - HA-52. Some sources say the midget had just been taken off a mother submarine. It was to be provisioned, then put back on the mother sub to be deployed. 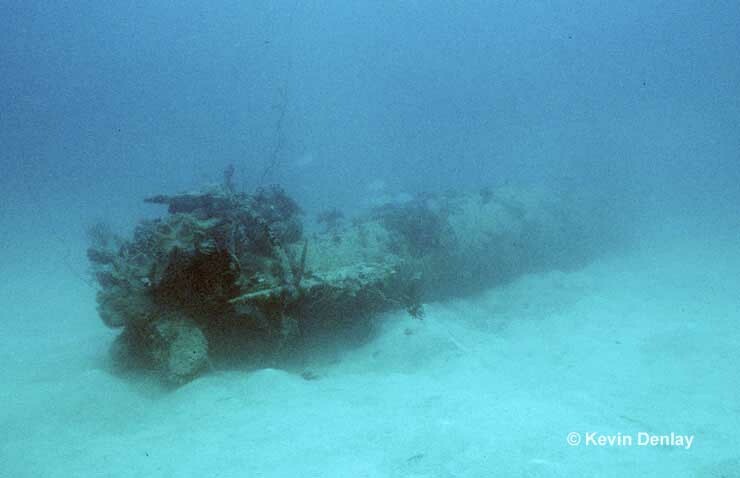 Postwar, divers find the midget's two counter-rotating props still tied together and the sub's tie-down tackle still attached. Lt (j.g.) Nishi is picked up by CH-39 which itself is soon heavily strafed, bombed and run aground on a nearby reef. Lt (j.g.) Nishi also survives CH-39's ordeal and succeeds in reaching shore by swimming. 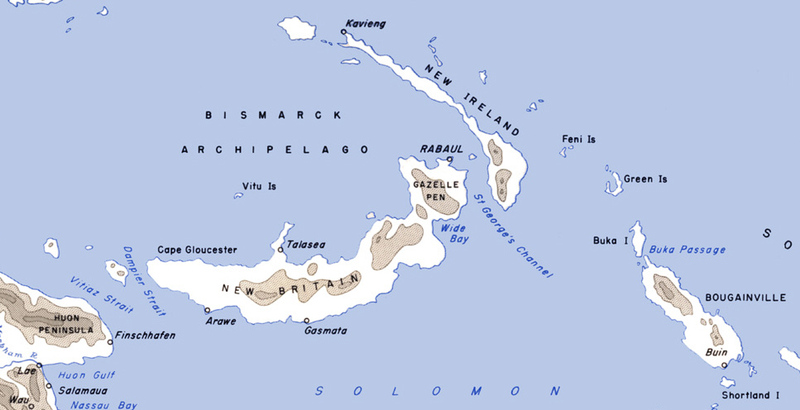 Thereafter, he travels over land and later by sea and finally arrives Rabaul on 2 March 1944. Later promoted to full Lieutenant he serves as a butai leader in the 86th Guard Unit at the end of the war. Japanese sources claim the midget submarine's crew scuttled her after the B-25 attacks. In 1987, divers from MV TELITA are exploring the wreck of a sunken WW2 armed freighter off Three Islands Harbor, N of New Hanover Island. The freighter is lying on its starboard side covered in sea fans and soft corals in 22 m of water. One of TELITA divers swims out from the wreck – straight into midget submarine HA-52. The submarine is intact and sits upright only 50m from the freighter’s main masts. Salvagers had come and gone, but never suspected it was there. 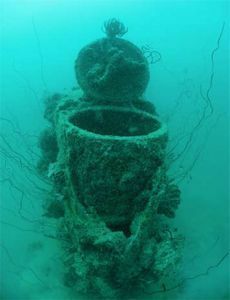 TELITA’s divers inspect the periscope, the twin counter rotating propellers and the empty twin torpedo tubes and open the hatch, which is not locked down. The slimmest diver is rigged with a line, torch and long hose and sent in. She gets to the bottom of the ladder and can see the sub is empty. Midget HA-53 was at Rabaul at war's end. HA-53's source of transportation to Rabaul is unknown. on 17 Jan '46, she was raised by Australian Commonwealth Marine Salvage Board salvage ship CALEDONIAN SALVOR with help from the midget's former crew and handed over to the NOIC, Rabaul. Thereafter, she was allowed to deteriorate and finally scuttled in deep water. 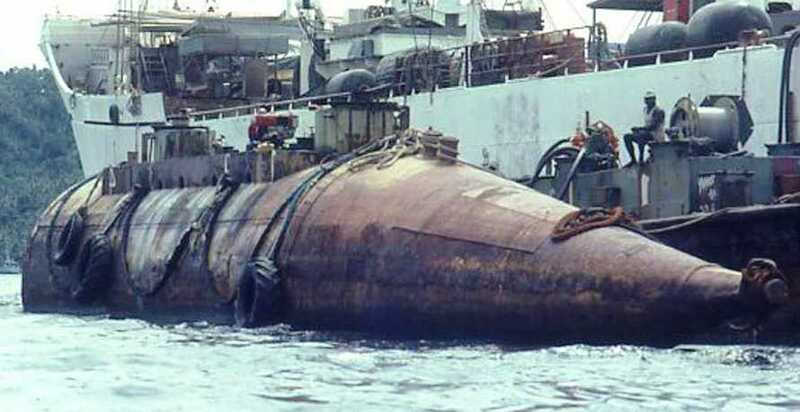 She may be the submarine that George Tyres found in 400 foot of water near KEIFUKU MARU. Later, wreck not found again due to severe seismic underwater activities. Thanks go to Peter Cundall and to Kevin Denlay of Australia and Erich Muehlthaler of Germany for additional info on HA-53. 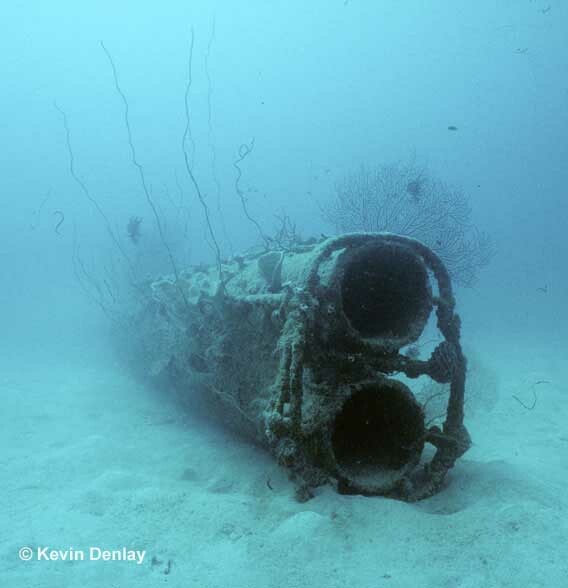 Special thanks for the photos of the Kavieng midget submarine go to photojournalist/divers Howard E. Sawyer of the United Kingdom and Kevin Denlay of Australia. Thanks also go to Mr. Denlay for info on the 1987 find of the midget submarine and to Bob Haldstead, ex-owner of MV TELITA and diver Kevin Baldwin who found the midget submarine.